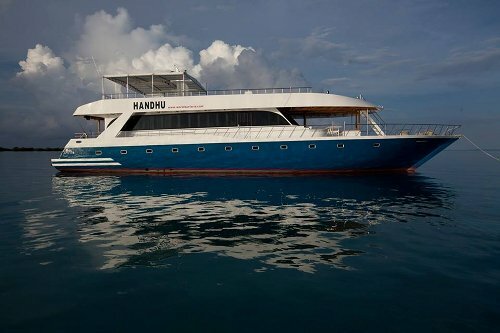 We have two new Maldives Liveaboards offering Last Minute sales. Contact us for details...! 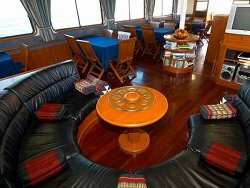 These charters offer air conditioned cabins, full board (all meals), stay 7 nights - pay for 6 nights. 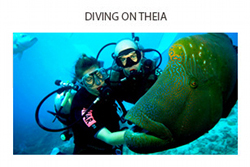 Experience all the fabulous diving you expect in the Maldives. 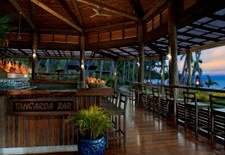 We have some of the last cabins available for 2016 on the Arenui. And we are discounting these spaces $500 per person. 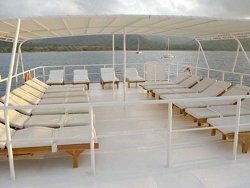 The cruise departs Bima on July 29 for an amazing Komodo Focus adventure. This famous dive destination is located in the within the Coral Triangle, an area that boasts the world's highest marine biodiversity. Situated 200 nautical miles east of Bali in Nusa Tenggara province - in the Lesser Sunda Islands - the Komodo National Park has a total land area of 75,000 hectares and encompasses a number of islands, the largest of which is Komodo (34,000 hectares). A total of 112,500 hectares of the surrounding waters is also under the jurisdiction of the park rangers, allowing for the protection of over 1,000 species of fish and hundreds of different corals. Komodo's dive sites stretch from the warm waters of the Flores Sea in the north to the chillier waters down south in the Indian Ocean. 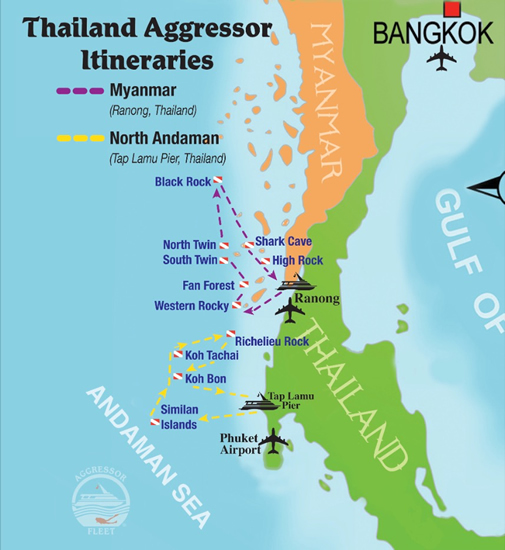 The underwater terrain presents many contrasts, with sheer cliff walls, pinnacles, sandy flat bottoms, underwater plateaus, slopes, caves, swim-throughs and channels - all with differing colors, sizes and types of both hard and soft corals. 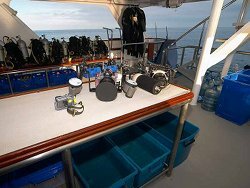 This 12 day, 11 night charter is normally priced at $6270 USD but discounted to $5770 USD plus fees. Contact us for a cabin on this magnificent vessel today...! 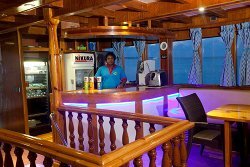 The luxurious MV Mermaid I offers all amenities you can dream of. All 8 cabins are fully air-conditioned and equipped with TV & DVD player, single, twin or double bed, a large wardrobe, plenty of storage room and an en-suite bath room with hot water shower, toilet and sink. We also provide fresh bath towels daily, beach towels, bathrobes, hair-dryers, towels, soap and shampoo for your comfort. 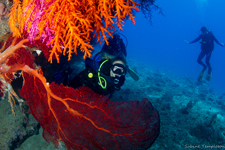 Raja Ampat has been documented as one of the last frontiers of unspoilt diving. The archipelago's pristine reefs are not just rich but the region proves to have the greatest coral reef biodiversity for its size in the world. The Bird's Head Seascape holds: 2,500 islands and reefs, 1,320 fish species, 550 coral species and all that is yet to be discovered. 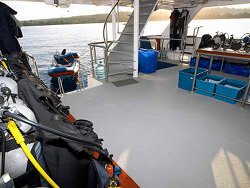 We are offering a 10% discount off the published rates as a last minute special on an 11 day, 10 night Raja Ampat charter from February 8-18, 2016. 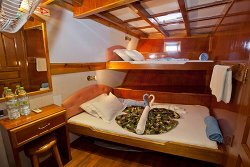 Normal rate for a budget berth is $3250 Euro, now $2925 Euro per person plus ask for our additional 10% agent discount. VERY LIMITED SPACE AVAILABLE!